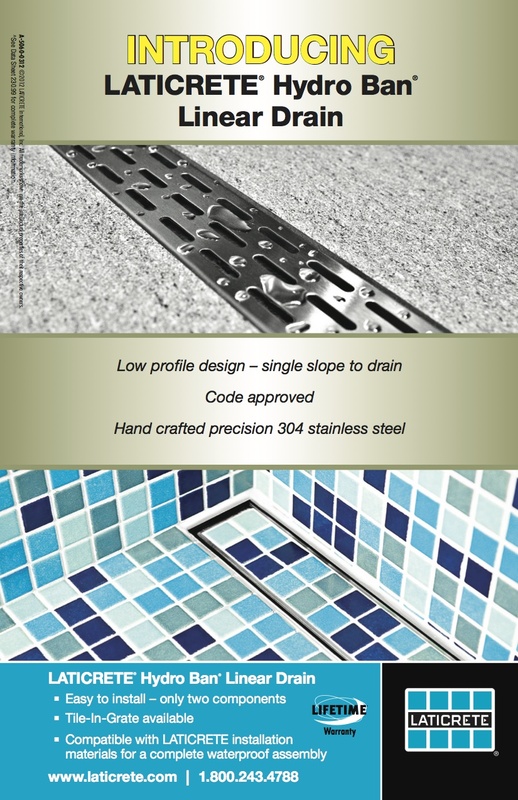 The LATICRETE HYDRO BAN Linear Drain is a low profile linear floor drain specifically designed for bonded waterproofing installations with HYDRO BAN waterproofing membrane as part of a total LATICRETE System approach for residential and commercial showers. The HYDRO BAN Linear Drain allows for the use of large format tile or stone installations in a shower with a single plane slope to the drain. It can be installed near the wall or at medial locations in a variety of areas requiring waterproof applications. Learn about our entire line of shower drains.